Hyundai have added an extra dash of style to their i30 family car range with the launch of the new i30 Fastback. 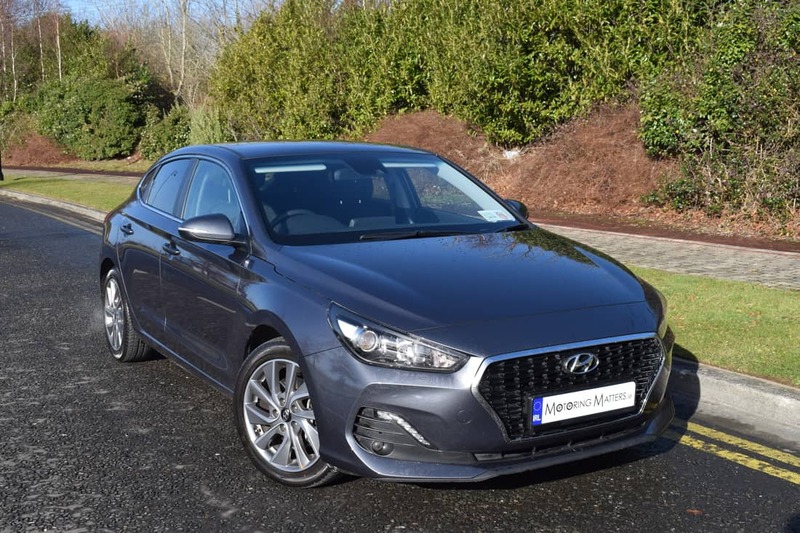 Five-door coupés have had limited appeal in the past, but Hyundai feel that their new i30 Fastback will attract style-conscious family car buyers who want to stand out from the crowd. Based on Hyundai’s recently launched i30 hatchback, the i30 Fastback is visually different in a number of ways. There are minor tweaks to the front and sides, while the sloping rear gives the car a more rakish appearance. 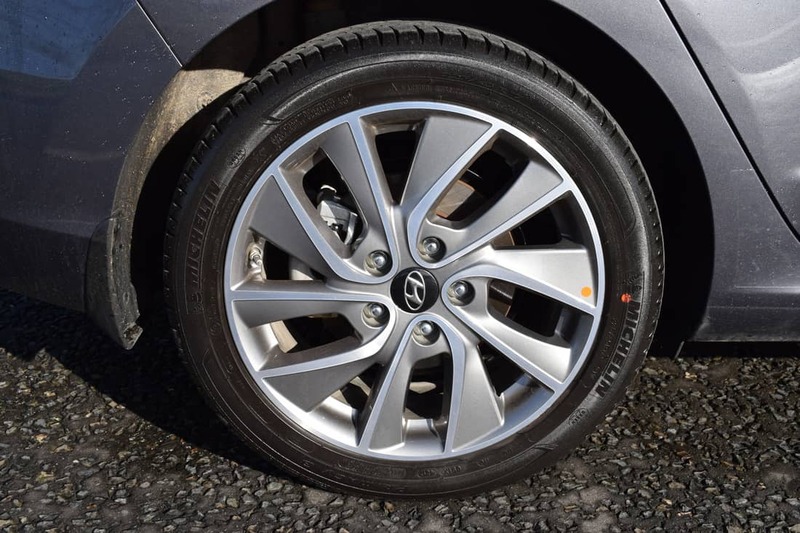 Under the sleek bodywork Hyundai has carried out changes to the running gear in order to provide the Fastback with a unique driving experience. 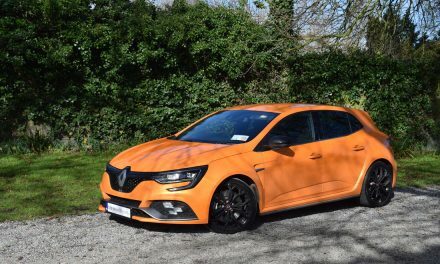 The springs are 15 per cent stiffer than those in the hatchback, while the Fastback sits 5mm lower for a more streamlined look. 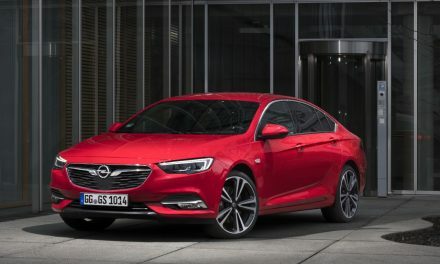 The bodyshell is marginally wider thanks to restyled wheelarches, although the wheelbase remains the same as the hatchback. 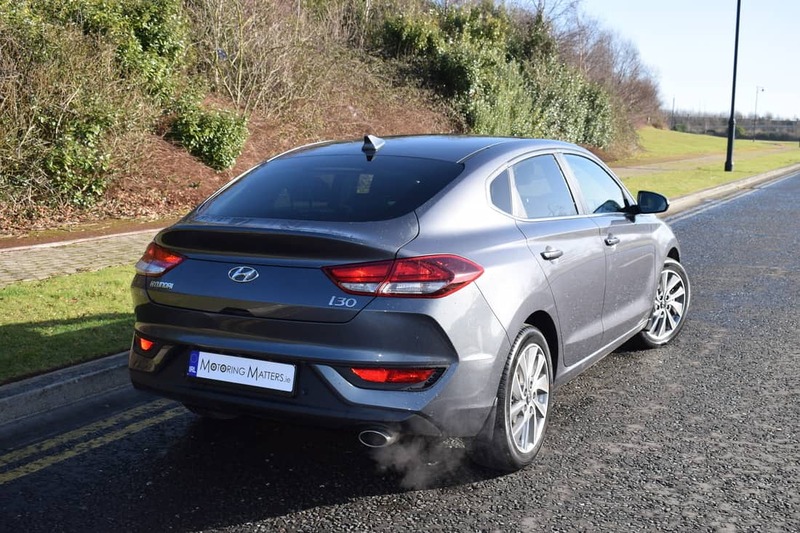 Initially, the new Hyundai i30 Fastback comes to the market with just one specification and one engine – a 1.0-litre T-GDi (Turbo-Gasoline Direct Injection). 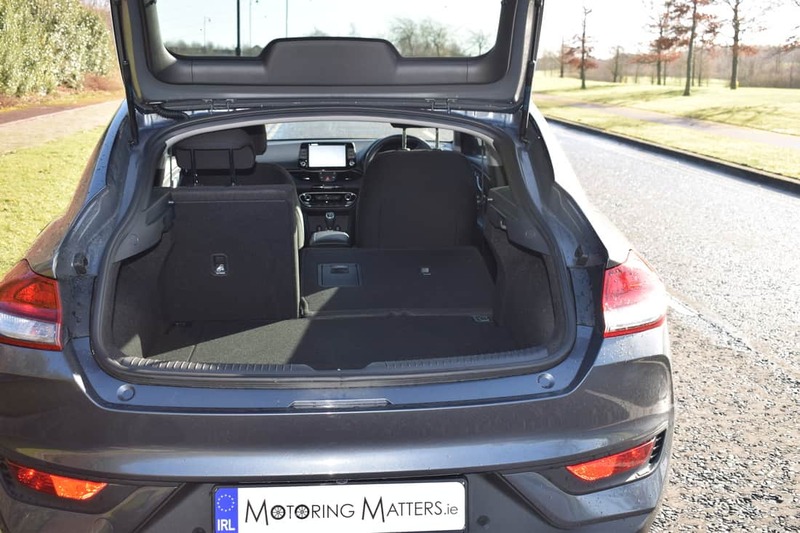 Available in a choice of 11 colours and priced at just €24,995 (ex-works), the i30 Fastback comes extremely well equipped. 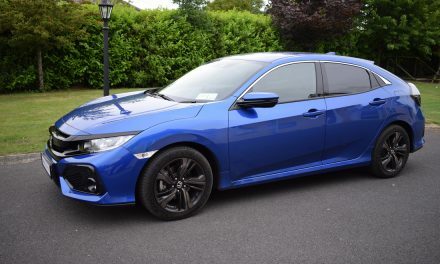 Standard specification includes 17” alloy wheels, chrome belt-line, body-coloured door handles, mud guards front & rear, split folding rear seat with ski hatch, front armrest, rear armrest with cup-holders, leather 3-spoke steering wheel and gear knob, spare wheel, driver and passenger seat height adjustment with electronic drivers seat lumbar support, halogen headlights with static bending, power folding and electrically heated exterior door mirrors, LED daytime-running-lights, LED positioning lamps, LED side repeaters on exterior mirrors, air-conditioning, rear privacy glass, electric windows front & rear, Bluetooth with voice recognition, cruise control with speed limiter, idle stop & go, keyless entry, tyre pressure monitoring system, 8” touchscreen with Android Auto & Apple Car Play, Aux & USB ports, RDS radio, satellite navigation, autonomous emergency braking, lane-keep assist with driver fatigue system, rear parking sensors, rear camera, six airbags, electronic stability control and hill-start assist. 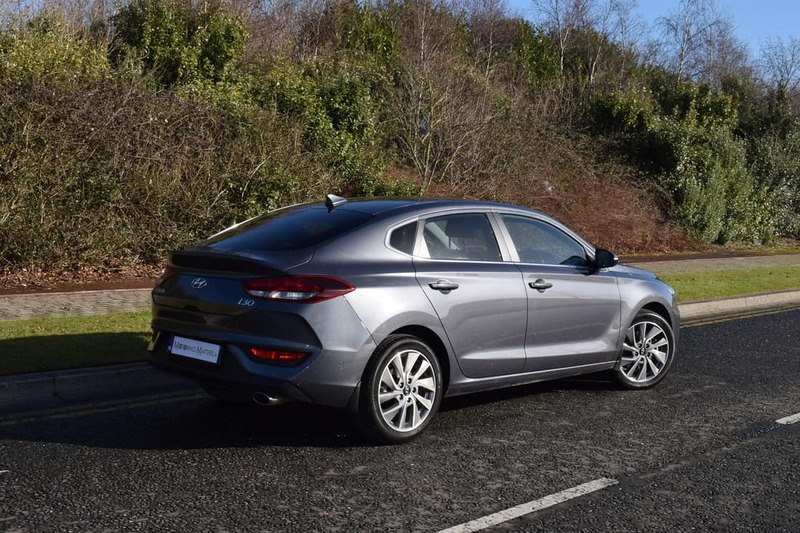 Hyundai’s impressive 3-cylinder 1.0-litre petrol engine produces a healthy 118bhp and is capable of a 0-100km/h sprint in 11.5-seconds on the way to a top speed of 188km/h (where permitted). Hyundai claim fuel consumption as low as 4.6l/100km on an extra-urban driving cycle, while a Co2 emission figure of 120g/km leads to annual road tax of just €200. 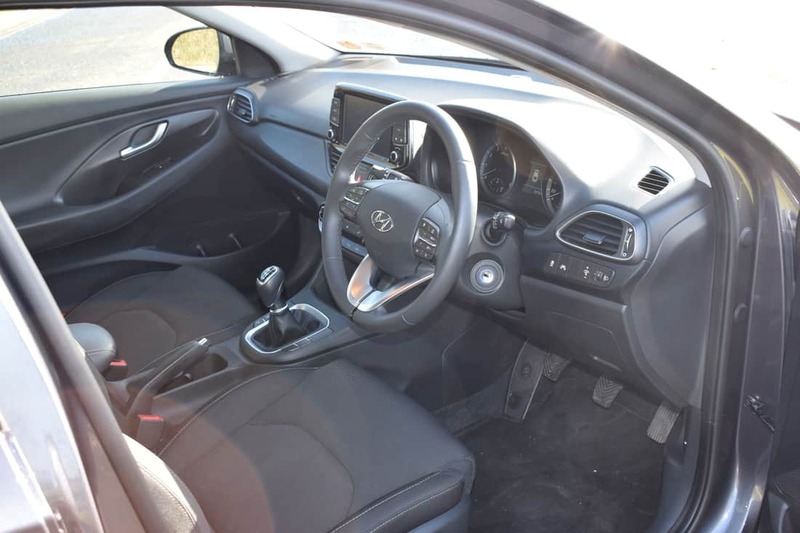 While the new Hyundai i30 Fastback combines striking looks with superb build quality and an exceptionally generous level of standard equipment, it doesn’t suffer in terms of cabin space. The Fastback is surprisingly uncompromised for a five-door coupé, with as much legroom as the hatchback and very nearly as much headroom. With a boot-space volume of 450-litres, it is even bigger than that on offer in the hatchback. 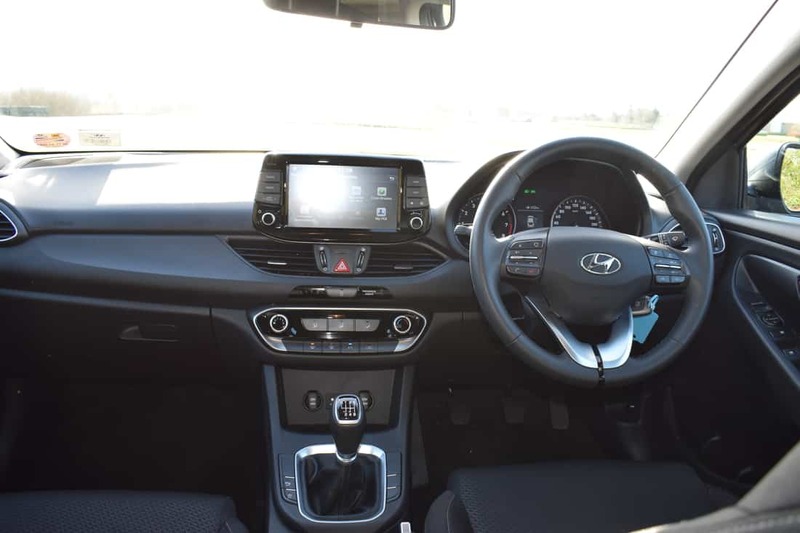 I recently spent a week with the new Hyundai i30 Fastback and I absolutely loved it – from its sleek good looks to the way it handled every road surface that I travelled on with the greatest of ease. The car performed every task I asked of it with excellent poise and confidence, and returned excellent fuel economy in the process. 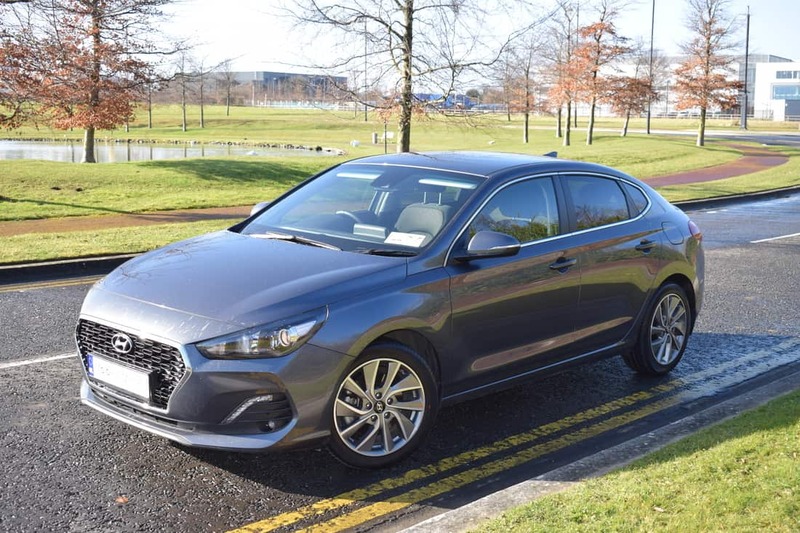 Hyundai’s impressive 1.0-litre engine is very well suited to the new i30 Fastback and never gives the impression that it is too small an engine for such a well proportioned family car. This is testiment to how far engine technology has come over the last few years. The i30 Fastback is a niche proposition, but it certainly has substance to go along with its elegant style. 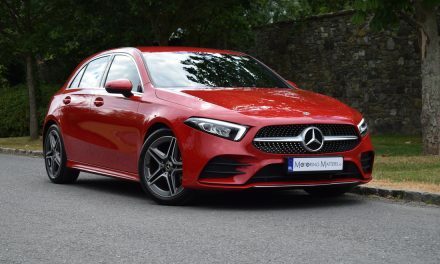 Thanks to its refreshing design, high level of standard specification and low running costs, it is a far more interesting proposition than most cars of this size and price. The new i30 Fastback is a truly impressive offering from Hyundai and will, undoubtedly, attract even more buyers to the brand. Hyundai’s 5-year, unlimited mileage, warranty comes as standard – along with 5-years of free health checks and a 5-year AA roadside assist package for total peace of mind.